The ban, which centres on a row over pension provision, means Stagecoach cannot apply for three new franchises including the West Coast main line. Virgin, which has run the London – Glasgow service for more than 20 years, is Stagecoach’s joint-venture partner. Stagecoach said it had been told its bids “were not compliant” with the government’s terms. 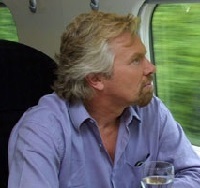 Virgin boss Sir Richard Branson responded on the company website saying the decision meant “Virgin Trains could be gone from the UK in November”. (See also COMMENT in this issue). It will be a pity if this means the end of the Stagecoach Megabus+ product which offers a product utilising off peak train services of East Midlands trains from St Pancras to East Midlands Parkway connecting to a number of Megabus coaches serving Yorkshire and Humberside.